Nirit Takele in her studio in Addis Ababa. Nirit Takele was born in Ethiopia in 1985 and made Aliyah with her family in 1991 during the Solomon Operation - a covert Israeli military operation that transported more than 14'000 Ethiopian Jews to Israel in 36 hours. She grew up as an Israeli with very few real memories of her childhood in Ethiopia. She had never been back. In 2015 Nirit graduated her BA with honors from Shenkar College, receiving The Talia Sidi prize. Serge Tiroche first encountered her work at the graduating exhibition and bought 4 of the 5 paintings for START's collection, with the last remaining in the artist's personal collection to this day. Nirit went on to show at Israel's pre-eminent art fair "Fresh Paint" in 2017 where all of her works sold following her winning the prestigious Sotheby's "Under the Hammer" prize. Her work "After Friday Prayer" was auctioned at the Sotheby's Israeli auction in New York in Dec 2017. 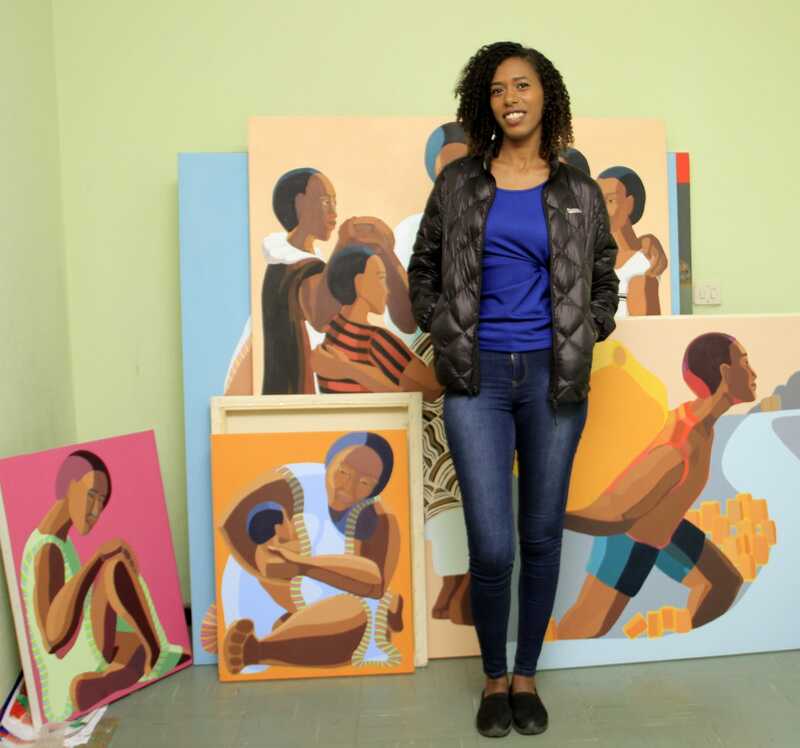 In 2018, as part of his "Africa First" artist residency program, Tiroche arranged and funded a collaboration with Ethiopia's leading Contemporary Art Gallery, Addis Fine Art, to host Nirit for a 3-month residency in Addis Ababa. Her renewed encounter with the reality of her homeland has led Nirit to produce some of her most remarkable works, despite the limiting conditions, using a much brighter palette. The works will be exhibited in a forthcoming exhibition at the gallery's London space in November 2018.